You can now install TWRP custom recovery on Motorola Moto G 3rd Generation . Thanks to Senior Xda developer squid2 for making this recovery . This recovery is only for Motorola Moto G 3rd generation ( osprey ) . Step 1. Download TWRP recovery from below ( Save it in your fastboot folder ) . 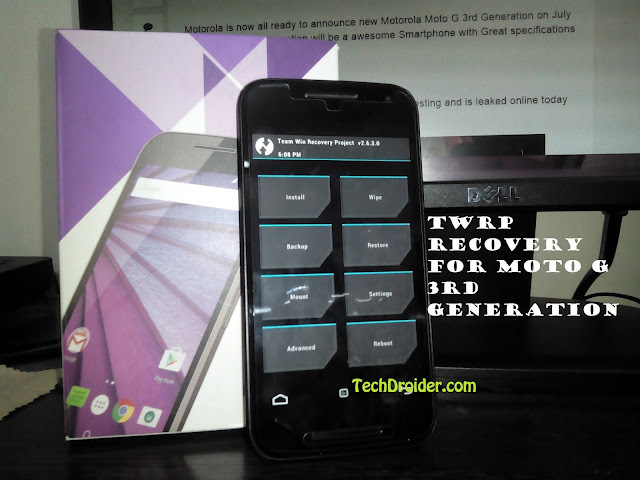 This will install TWRP recovery on Your Motorola Moto G 3rd Generation .